Boneca Sarita e Boneco Manel, estes foram feitos especialmente para a minha filhota. Novos amigos para dormirem com ela à noite. 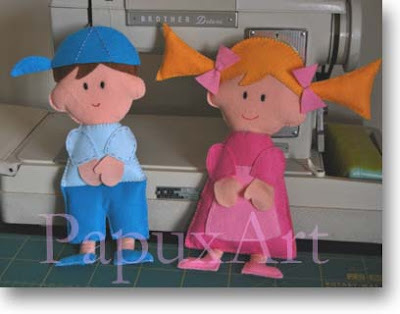 Doll Sarita and doll Manel, these were specially made for my little daughter. New friends to sleep with her at night.